Personal injury claims may seem straightforward to some people. If you are in an accident that was caused by the negligence or wrongful conduct of another person or party, then you may be able to collect compensation. 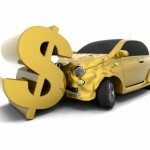 Accident claims, however, can be very complicated. All motorists are required to have basic insurance so that if you are injured in a car accident, you can collect at least accident benefits that may include lost income to a certain maximum amount along with medical and rehabilitation benefits, regardless of fault. If the accident was not your fault, or was partially your fault, then you can bring a tort or injury claim against the responsible party. 1. Help in Determining fault. Liability for an accident is easy in some cases and not so easy in others. In the latter case, if you do not have a personal injury lawyer to investigate the facts of your case, then you may be forfeiting significant compensation to which you otherwise could have claimed. Your personal injury lawyer can interview witnesses and retain an accident reconstruction expert, if necessary, to demonstrate how another party caused your accident. 2. Ensuring You Meet the Time limitations for filing a claim. Did you know that you have a limited time to seek compensation for your claim and that there are different time limits depending on the type of claim? For example, if you were injured on a municipal roadway in Ontario, due to disrepair, you have to provide formal written notice of your claim within 10 days of your injury. Should you have been injured in a car accident in Ontario or a loved one was killed, you have 120 days to provide written notice to the responsible party’s insurer. Though there are some exceptions, your failure to provide notice in the required manner can cause you to be forever barred from seeking the compensation that you deserved. 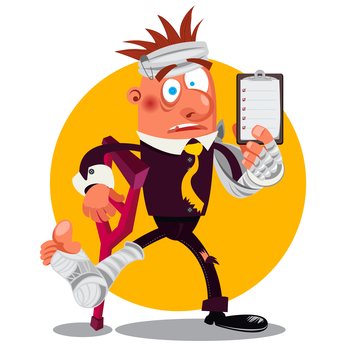 Your personal injury lawyer can ensure that the proper medical specialists are retained to determine if you do have a serious impairment, physical or emotional, that a general practitioner or other general health provider may not be able to assess. Also, you will need documentation to support your claim for as much compensation for pain and suffering as you deserve. Only an experienced injury lawyer can assist you in determining if you meet the applicable threshold and that you do obtain the appropriate compensation. Further, your lawyer can advise you of the reasonable value of your accident claim based on fault, medical and income losses, the effect on your daily living activities and the nature and extent of your injuries. 4. Who is responsible for your accident? 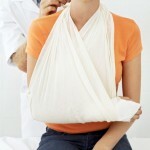 In some cases, it is difficult to determine who is responsible for your accident and injuries. In others, more than one party may be at fault. For example, if you were injured by a defective product, the identity of the designer or manufacturer can be difficult to assess. If you were injured because of medical negligence, a flawed medical device may have played a role in your injuries. Even in car accidents, a municipality’s failure to maintain the roadway, a defective road design or even inadequate signage may have been a contributing factor. Because you have a limited time to properly submit a written notice of your claim, it is imperative that you retain a personal injury lawyer soon after your accident or injury. 5. Ensuring You Meet Your Obligations. If you suffered an injury, you have an obligation to mitigate your losses. This includes promptly seeking medical treatment or looking for work when it is reasonable for you to do so. Failing to do this can result in a substantial reduction in the value of your claim. Also, you can be found contributorily negligent in causing your injuries for failing to wear a seatbelt or from not wearing a helmet while on a bicycle or motorcycle. Your lawyer can defend a claim that your injuries would have been less serious if you wore a helmet or seatbelt. • Studies show that the overwhelming majority of people who hire a personal injury lawyer obtain considerably more compensation than those who do not, even taking legal fees into account. • Making a damaging statement to an insurance adjuster because you did not have legal counsel can seriously jeopardize the status of your claim and result in a lower offer or eventual settlement. • Your lawyer can provide the necessary expenses to fund your case such as in obtaining medical records and reports and in retaining other professionals to support your claim for financial losses, future medical care and pain and suffering. • Presenting a comprehensive and fully supportable settlement package to justify your claimed damages is necessary if you want to obtain the most compensation for your claim. • If your claim is rejected or an offer is unacceptable, you will need to litigate your claim. Hiring a personal injury lawyer early in the claim process can help ensure you do get a reasonable offer or that you are positioned to effectively litigate your claim and proceed to trial, if necessary.